"Happy Bday JA! We all love you sooo!" 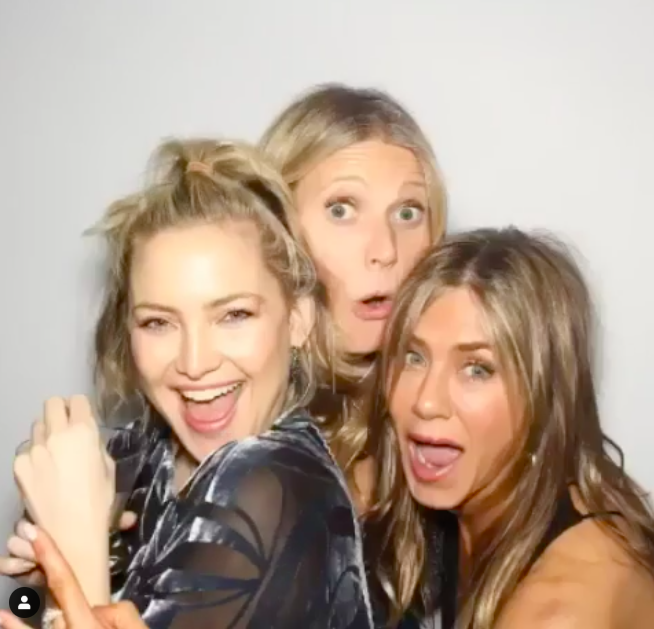 Over the weekend, Jennifer Aniston threw a star-studded 50th birthday bash. And when I say "star-studded," I really mean it. Celebrities in attendance included George and Amal Clooney, Robert Downey Jr, Reese Witherspoon, Demi Moore, Gwyneth Paltrow, Ellen DeGeneres, Barbara Streisand, Jason Bateman, Lisa Kudrow, Katy Perry, Orlando Bloom, Sandra Bullock and a certain Mr Brad Pitt. However, since Jennifer is notoriously private and isn't on any form of social media, the only glimpse of the stars we got was via paparazzi shots of the guests arriving and leaving the Hollywood venue. Until now, that is. 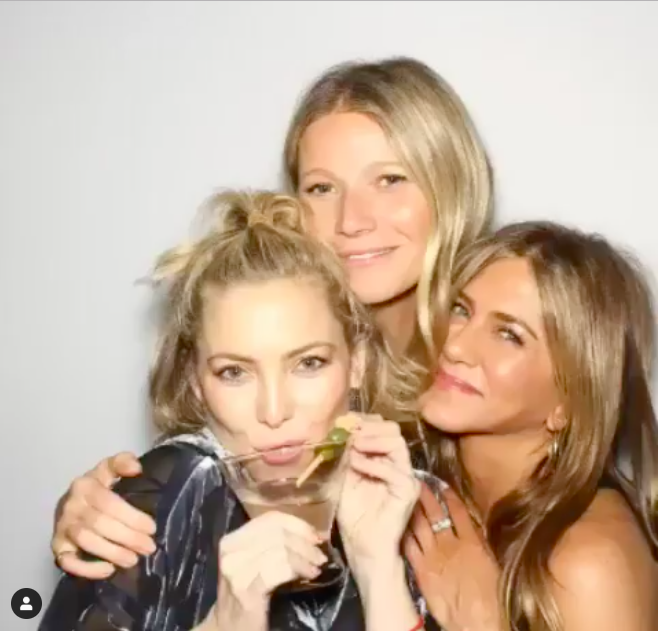 Because it turns out that Kate Hudson decided to break Jennifer's "no social media" rule, and posted a series of photos of herself with Jen and Gwyneth Paltrow. In the snaps, taken in a gif booth, the trio look happy and relaxed, with Kate sipping on a martini. Kate shared the photos alongside a caption telling Jen how much all the guests loved her. However, one guest who goes by the name of Katy Perry, was clearly concerned that Kate would get into trouble for sharing the photos on Instagram. But luckily Kate clarified that she'd "got permission" from Jen to share the snaps.